It’s the beating heart and emotional soul of everything we do as well as the reason why we recently celebrated the launch of our new identity together with a group of passionate community members on Burlington’s waterfront. I’m very proud to announce that we’re now known simply as Burlington Foundation. Working with Burlington’s own Play Advertising, our name has been streamlined to reflect the most basic essence of what we do…which is making positive change happen right here in our great community. 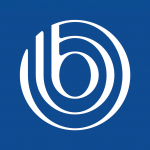 Our new brand icon features a lowercase ‘b’ that is visually surrounded by three waves of change. These waves have a dual meaning as they also represent the three pillars of our mandate — leadership, grants and legacy.